It’s a common issue for plumbing in bathrooms to go wrong. It’s important to keep up the maintenance to avoid hefty costs and unnecessary blockages. The average person spends 3 years of their life sitting on the toilet, so make sure they’re well spent and you don’t dread heading to the bathroom because of mouldy walls and leaky taps! Discover the 6 most common problems we face in bathrooms and exactly how homeowners can resolve them. 75% of people use their phones while sat on the toilet? Be careful not to cause a technology blockage in your loo! Let’s face it, there’s nothing more annoying than a toilet that won’t flush. We won’t go into too many details about why – but there are ways to prevent this. To prevent the risk of bathroom items falling into the toilet, it’s a good idea to keep shelves with bottles and creams on away from the toilet entrance. It may be a little unpleasant, but sometimes the old rubber glove trick can remove a blockage. However – if the blockage is too big, you shouldn’t push it down any further. Get in touch with Churchford and we’ll sort it for you. Pipe blockages in the bath, shower or sink can be a real bother. Standing in a shower and watching the water gather up rather than flow down is the sign of an issue. Often getting blocked with things like dirt, hair, shampoo and conditioner, these blockages tend to sit further down the pipes. The easiest thing to do is to use a plunger or use soda crystals to attack the blockage. Do not use a plunger on hidden pipework as there is a risk of dislodging the pipes which could cause flooding and long-term water damage. If you have a pipe blockage that’s beyond your control – give Churchford Property Care a call. Leaving even a small leak untreated could cost you. 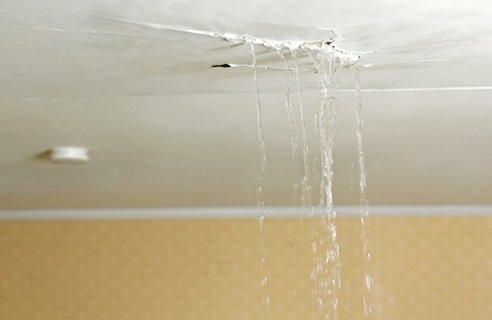 Water damage can lead to problems on walls, flooring and cause damage to paintwork. If you’ve got a leak or mould on your bathroom ceiling or floor it should be identified and treated immediately. Start by wiping the area with a rag, if the leak is on the ceiling, use a bucket to catch the droplets – this will bide you a little time before you need a professional. Dripping taps are potentially THE most annoying bathroom problem of all. The sound doesn’t switch off and it’s a pretty frustrating issue. If you are in doubt about the technique of fixing a leaking tap, it’s best to call a professional straight away rather than attempting to fix the problem and potentially making it worse. Depending on the type of tap, different tools will be needed. For a complete guide on how to mend a leaking tap yourself, read this article. Alternatively, if you’re based in Exeter, give us a call and we’ll sort it for you. At the end of a long day, it’s nice to head into the shower and wash your worries away. This can be difficult if your showerhead feels like a light rain episode. 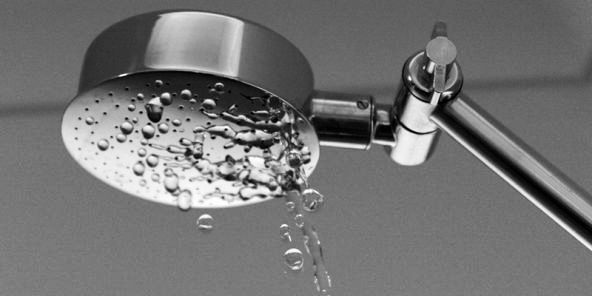 If your showerhead is spurting water in different directions from a limescale build up – it’s best to get it sorted sooner rather than later to avoid making the problem worse. It’s usually the result of a build up of limescale – to resolve the problem yourself, you can remove the showerhead from the hose by unscrewing it and soak it in white vinegar, timing depends on how harsh the build up is, so just keep a check. Before taking a shower after doing this, rinse the showerhead, re-attach and run it for a while. 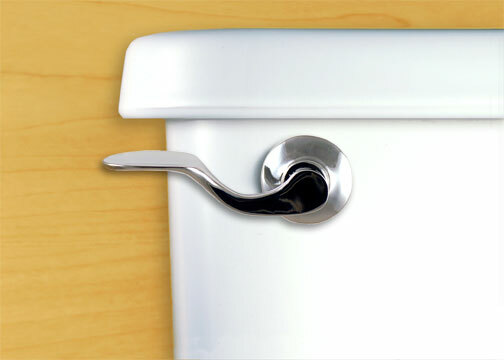 The handle on a toilet is a significant component to the functionality of the tank. It’s important to get this problem fixed as soon as it’s identified. After all – there’s nothing worse than using the bathroom in somebody else’s house and finding the waste gathered up because of a broken flush. Don’t let that house be yours. Homeowners may require a general replacement and there are ways to replace the toilet handle yourself. However, it can be a complex process and if you may need a professional plumber to sort this for you. If you’re based in Exeter and need your toilet handle replaced, give Churchford a call! 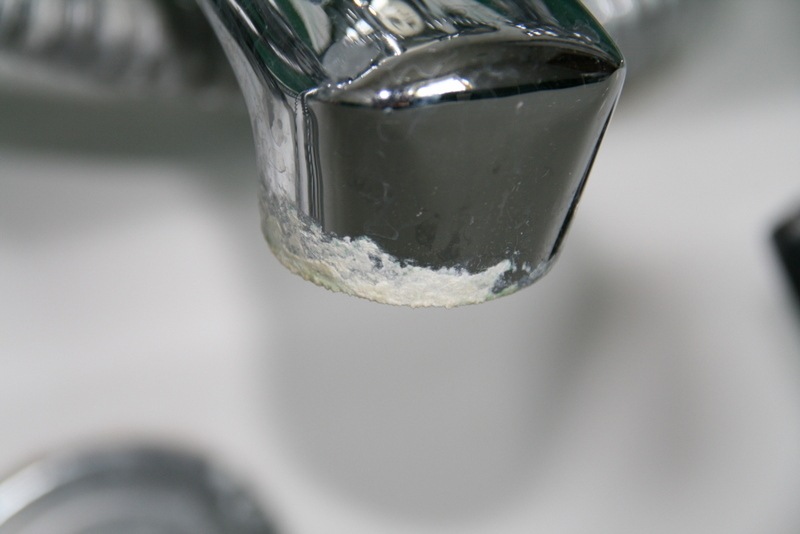 Watery areas easily build up limescale, and since the bathroom is generally the most water filled room in the home, it’s important to identify limescale build up and eliminate it for the perfect water flow and clean appearance. Natural blends such as vinegar and lemon juice can attack limescale. If there’s a build up around your taps, wrap a vinegar soaked tea towel around the tap and hold in place. Lemon juice is a great descaler for bathroom taps and shower heads! Top tip: Limescale is resistant to most ordinary bathroom cleaners, switch to an abrasive cleaner to attack limescale. At Churchford, our reliable team covers Exeter, Devon and much of the South West sorting plumbing, property and carpentry for a range of homes and residential properties. If you’d like to know more about what we can do for you, get in touch!